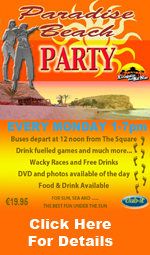 5 Hours, 5 Pubs, Free Drink, Games & Prizes What are you waiting for get out & enjoy yourself. This Saturday "March 14th" for the "Party Hard" opening party when you book the bar crawl (and every Saturday after) you get free entry to the FOAM PARTY (Save 10€ straight away) and you get 2 great nights all rolled into one "party hard" style. See what else you get below!!! 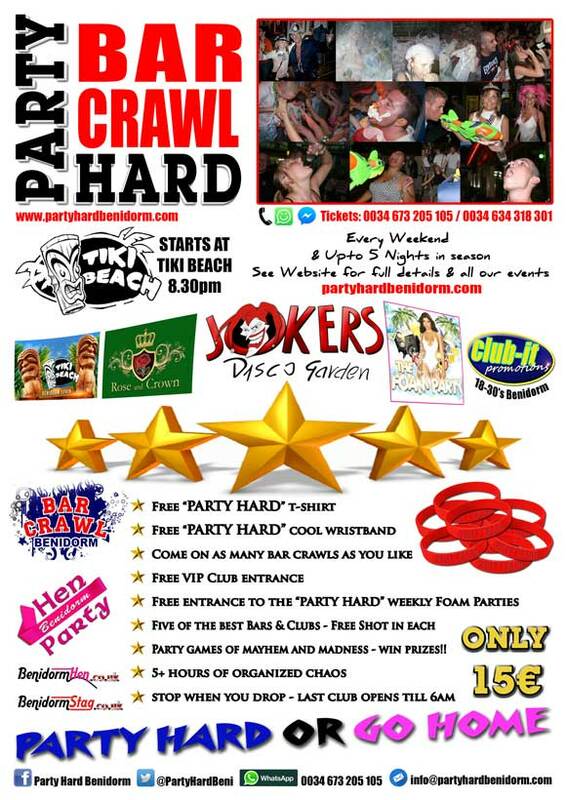 "If You Don't Party Hard Go Home"
BOOK THE BAR CRAWL NOW!! To book just fill in the form below. If you have any questions just ask in other details. Let us know if you are a stag or hen party also.